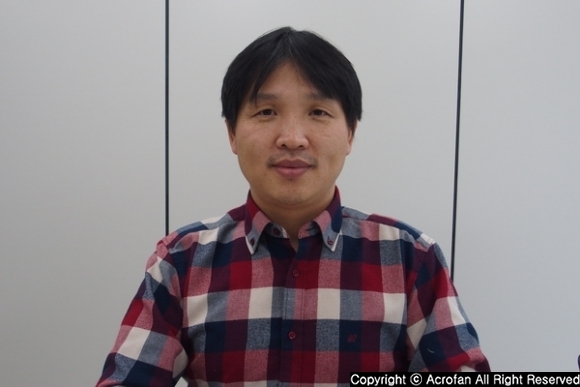 [BGC] Representative of YouCanStar, Choi Dae-gil, "YouCanStar Will Create a 'Miracle' with a Great VR Content"
▲ Acrofan heard the story about features of the game and development style from Choi Dae-gil, a representative of YouCanStar. A company specializing in virtual reality (VR) content, YouCanStar could get investment and establish a corporation in August 2015. Until then, it had mainly developed mobile games. About 25 developers are making VR content of various genres, and they showed the results through Busan VR Cluster Pavilion of G-Star 2016. "We have been interested in VR content since 2014 and developed a content called 'Virtual Reality Safety Education Simulator,' which got support from government. At that time, there was a social issue about safety, but there was almost no visual experience safety education. So, we developed a content to learn safety education through virtual reality." Choi Dae-gil, a representative of YouCanStar, explained about the meeting with VR content like the above. The company could have shown content that can be simply enjoyed, but it confirmed the possibility of VR industry through hands-on contents, learning through experience. 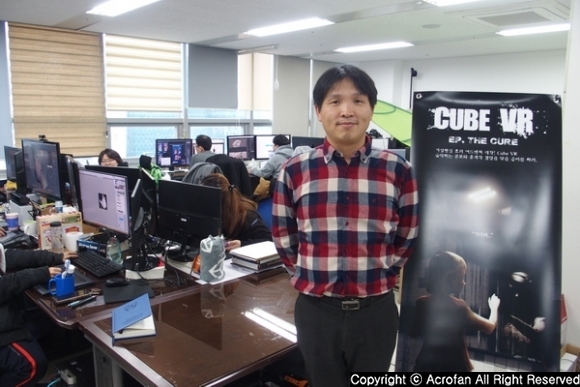 Since then, a 3D rooms escape game 'Cube VR' for PC as well as PlayStation VR has been under development. Unlike the existing VR games that present attraction playing based on time, 'Cube VR' is characterized that it is centered on space. "If events are occurred over time, many cases will be limited by the time. This is why users are pushed for the flow. However, 'Cube VR' lets users recognize space enough, acquire items, progress events and escape the room, so users can enjoy the game with enough time." ▲ YouCanStar is preparing various kinds of VR contents. In addition to 'Cube VR', YouCanStar also introduced 'Blind VR Catalog', an interior VR content. This product is a VR content that you can experience before you buy furniture if it well matches your house interiors such as house lighting, wallpaper material, furniture arrangement, etc. "The reason why people have windows in their house is because not only the sunlight comes in and heats the house, but also they influence the mood of the house. For example, if you have a blind, depending on what kind of product you are installing, the glare effect also changes, so you can check if it matches with furniture or wallpaper in advance. He pointed out that the VR contents of overseas famous furniture vendors show the use and size of furniture, but they are far from consumers' needs as consumers want to see whether the furniture is suitable for home rather than product use. On the other hand, it is introduced that 'Blind VR Catalog' realizes the structure of user's house into VR and shows arrangement in house and harmony with light, so it can give more practical help. As a VR company, Choi Dae-gil mentioned healthcare field for what products YouCanStar would like to introduce in the future. "As the Internet environment has widened, its related industries such as e-mail, portals, cafes, games, shopping malls, and education have also diversified, so it would be difficult to cover VR only with games. The healthcare industry, which is the most closely related to human, will also be established in VR. Recently, healthcare has been dealing with aging and developmental disabilities, and I have been wondering how to combine VR to give benefits to them, and it might be able to find VR's role in assisting the uncomfortable parts." 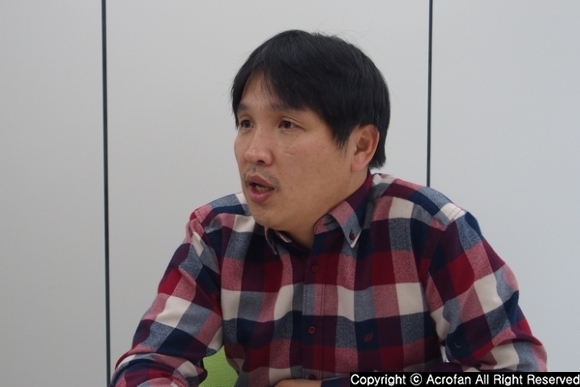 After completing the interview, Choi Dae-gil revealed that the company aims for 'a company that makes miracle with VR content'. This is because it is hoped that the contents produced by YouCanStar will become a life force in life and opportunities to change a life positively. He expressed his gratitude by saying, "We think that producing great VR contents is a contribution to society. So, we will make a miracle by making the contents that each member works together, and we hope you like them. Thank you." ▲ He pointed out healthcare as a field that the company would like to focus on.